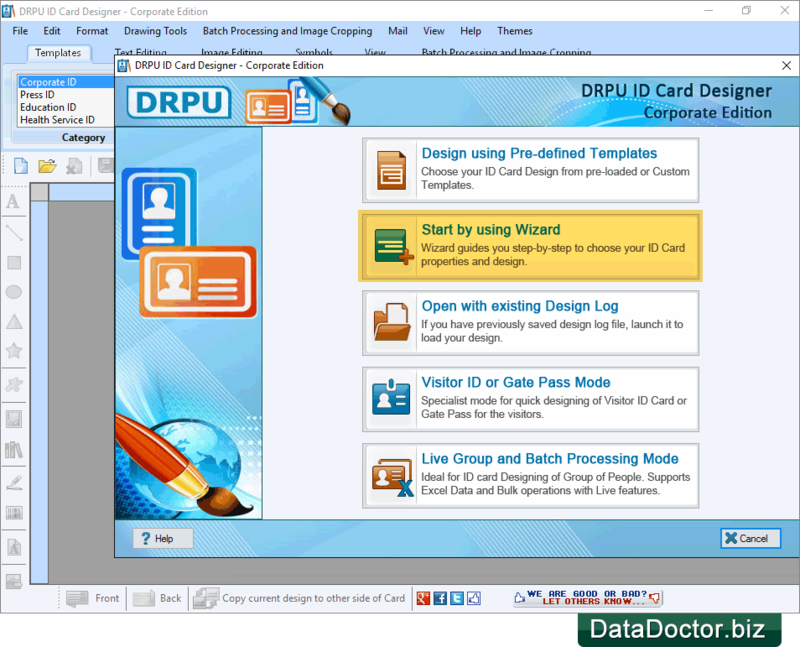 DRPU ID Cards Maker (Corporate Edition) designs various types of ID cards including Employee ID cards, Student ID cards, Visitors ID cards, Gate Pass for the visitors and many more. 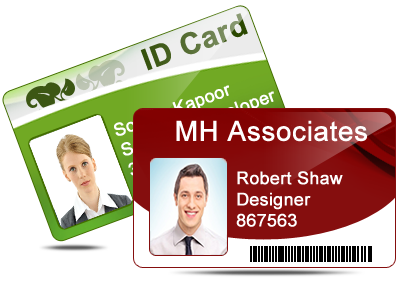 Software provides Pre-defined templates , So that you can quickly design ID Card as per your requirements. Software provides option to create multiple ID Cards using different barcode value and text. Software provides Visitor ID or Gate Pass Mode to design Visitors ID card and Gate Pass for the visitors. Facility to browse all details from excel data file while designing ID cards. Having option to generate multiple ID cards with different barcode value and text. 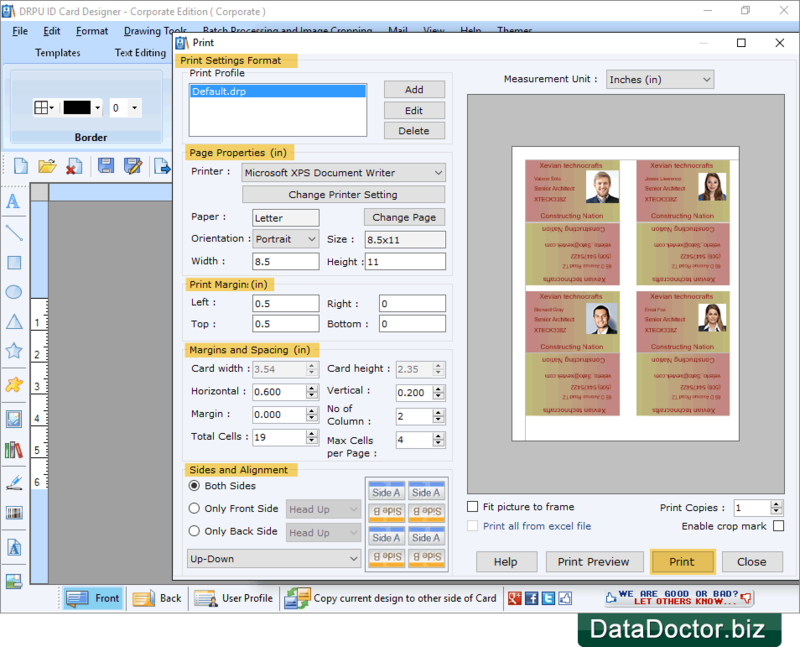 Print Setting feature to print multiple ID Cards with support to all major types of printers. Provide option to copy current design of ID card to the other side of Card. Having option to capture photo while designing ID card. You can Export designed ID card as Image (JPEG, PNG etc. ), as PDF and as Template. 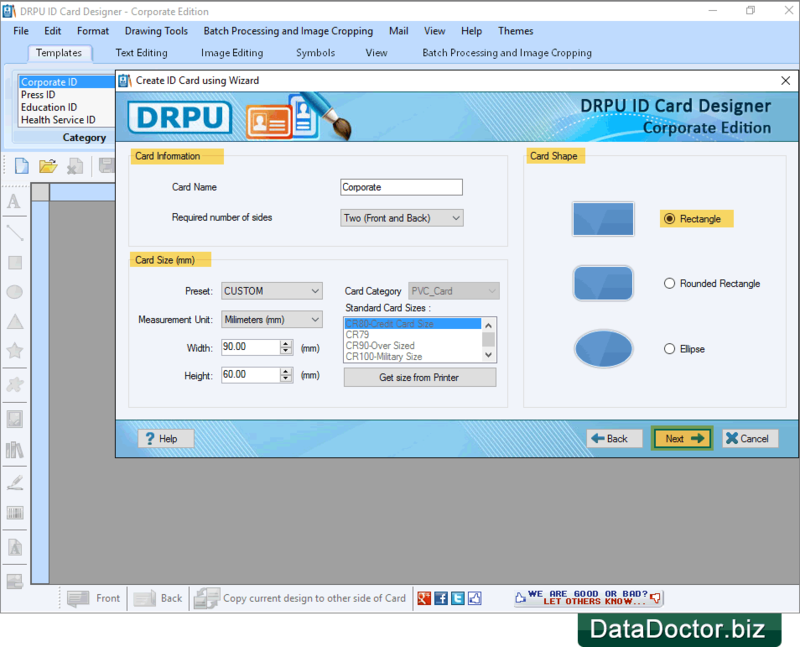 Provides option to save your ID cards in different file formats like JPEG PDF, BMP etc. Software is having inbuilt E-mail setting feature to send designed ID cards at specified email address. Software provides option to save your ID card designed log for future reference. 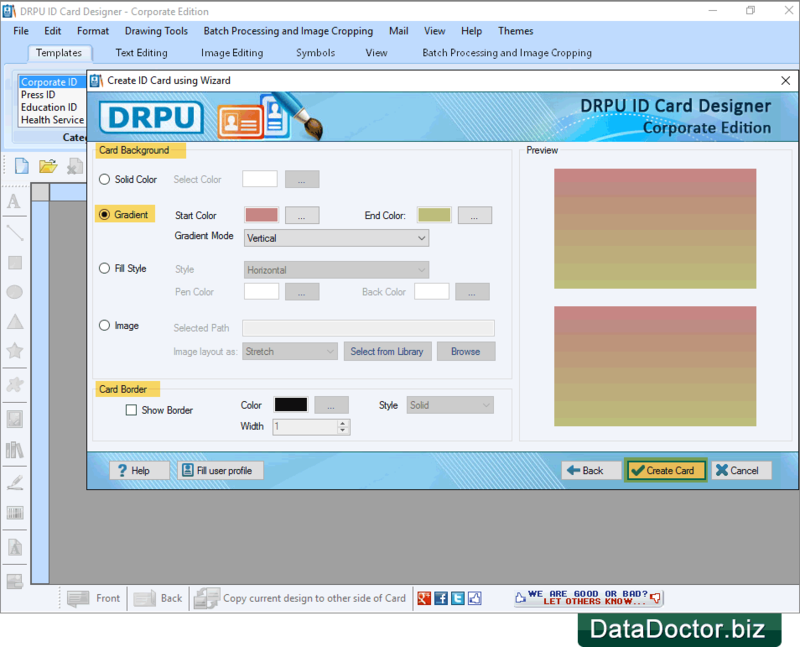 Provides Image Cropping Tool to crop a single image or to crop multiple images for your ID card. 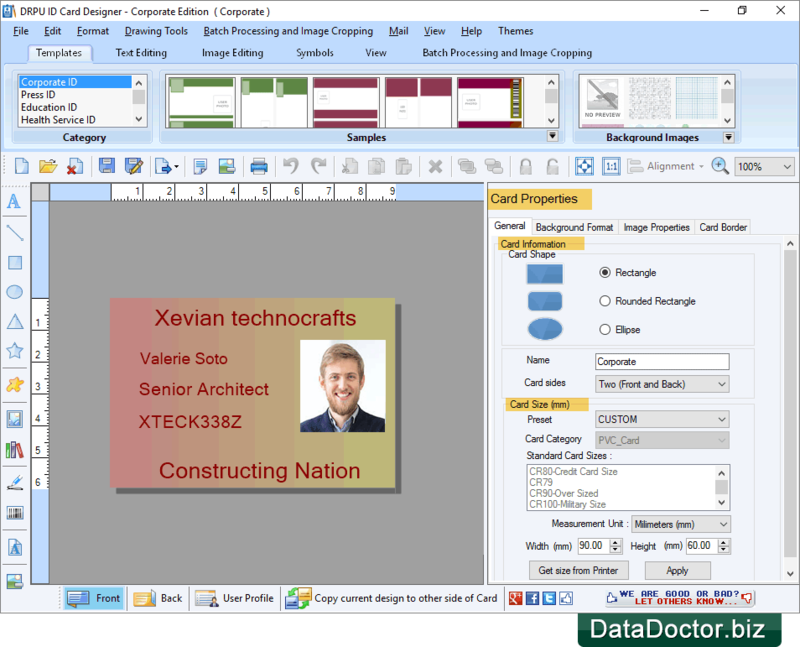 You can see designed ID card using ID Cards Maker (Corporate Edition) software in below screen. How to Design ID Cards? Choose any one module for designing ID Card. Here, we have choosen "Start by using Wizard" option to design ID Card for demonstration purpose. Specify Card Information, Card Size and Card Shape. Now Click 'Next' button. Specify Card Background, Gradient, Card Border, Solid color as per your requirements and Click on "Create Card" button. Click on " Fill User Profile" button to fill all the details required for your ID Card. If you want to do further modifications, You can use Card Properties option. To print your designed ID Card, go to print button in software toolbar. Set all print settings and Click on "Print" button.